Modern war and structure of an up-to-date defence demand increasing resources. Indirectly we are made accomplices to the maintaining of the poverty situation in which many of our fellow men live. Resources are used for armament instead of more extensive efforts for the improvement of living conditions both in this country and in other parts of the world. We experience a conflict of conscience by obeying the laws on this point and at the same time supporting a policy which opposes what we most profoundly consider ethically right. There is at present a higher degree of openness between the Great Powers in the East and the West. The Brundtland report points out the importance of a better relationship between the North and the South. We wish that all countries in the world could contribute to detente. 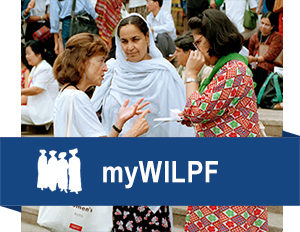 The 24th Congress of WILPF, call upon all WILPF sections to press their governments for a change of legislation, making it possible for the individual citizen to pay the percentage of the taxes which goes to military purposes to a fund for peace building activities of a non-violent character and be credited toward their taxes in their own country.